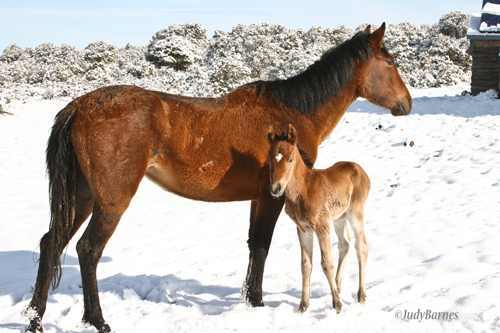 This is Miranda, a first time mother and her daughter Angel, born this morning in the snow. This is one of those spring storms that dump a lot of snow quickly and moves on. It will all be melted by afternoon.